As an agent we are determined to find a home for you. In the last 15 years we have helped many tenants find their ideal home to rent. Our team work 6 days a week to add properties to our portfolio. Our extensive database of Landlord contacts and marketing enables us to find a home that is just right for you. We believe that renting your ideal home shouldn’t be difficult. That is why we work closely with you in finding a home that is just right for you. From initial viewing to moving in, we will be with you every step of the way. With a wide selection of properties, we are confident that we have a property that is just right for you. Our offices are open Monday to Friday so getting in touch will be easy. You never know when something can go wrong. We have a dedicated emergency telephone number in case you need to contact us for emergency repairs during out-of-office hours. Our service to you is 100% free. Unlike other agents, we do not charge you an admin fee or any other fees. Your deposit will be stored in a custodial account in order to ensure that it is safe. We also draw up a detailed photographic inventory so that there are no ambiguities at the end of your tenancy. All our properties must comply with our Decent Homes Standard. This is a list of criteria that is checked against every property making sure it meets our requirement – making your home warm and comfortable. If you would like further details on our Decent Homes Standard, please just ask. This is a very shortened version of the process, we can advise and help you on all the steps to moving into your new home, please click here for further details. If you are not already registered with us, the first step you need to take is to register your details with us. Once we have your details we will be able to look for a home that ticks all the right boxes for you. The next step is to find a property that meets your requirement. We are constantly receiving new instructions to let and our website is automatically updated. However, please contact us to find-out about the latest properties available to let. 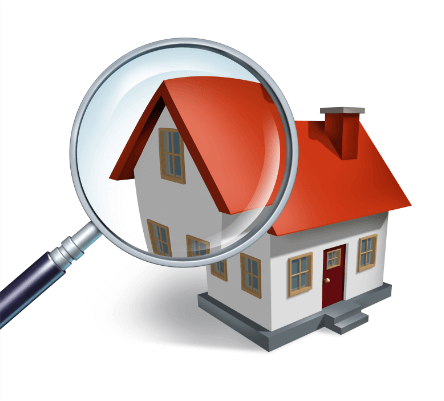 Once we have identified a potential property, we contact you to arrange an appointment to view. You can meet us at our office, where we will drive you to the property or you can meet us there. If you decide this is your new home, you will need to put down a holding deposit equivalent to one week’s rent. At this point the property is reserved for you and no one else will be able to view it. You are almost there. This is the important bit where a tenancy agreement is drawn up and signed by both you and the Landlord. The Tenancy Agreement is a contract between you and the Landlord. The Tenancy Agreement gives certain rights to both you and your Landlord, eg your right to occupy the accommodation and the Landlord’s right to receive rent for letting the accommodation. You and your Landlord may have made arrangements about the tenancy, these will be part of the tenancy agreement as long as they do not conflict with law. Both you and your Landlord have rights and responsibilities provided by law. The Tenancy Agreement can give both you and your Landlord more than your statutory rights, but cannot give you less than your statutory rights. If a term in the tenancy agreement gives either you or your landlord less than your statutory rights, that term cannot be enforced. Prior to signing an agreement, you are required to provide one month’s rent in advance and a security deposit equivalent to one month’s rent. This must be cleared funds. If you are paying by cheque then you will have to wait until the cheque clears before you can move in. Now that you have signed the Tenancy Agreement and paid the rent and deposit you are ready to move in. A set of keys will be provided for all external doors together with a list of utility service providers. Your Agent will take you to the property and you and the Agent will agree and sign an inventory and schedule of condition of the property. Straight after you move in, it is important you contact the utility companies and register as the new tenant. You must also contact the local council tax office and advise them that you have moved in. We can provide details of the local council office if you are not sure which council the property falls under. In order to safeguard you and the Landlord we will also contact the utility companies and give them your details and move in date. Know where the gas and electric meters are located. When you are ready to move out you must give your landlord/agent the required notice period of 2 calendar months. Have the property thoroughly cleaned. Contact service providers and close your account. Arrange for a member of staff to meet you at the property to carryout out an inventory check list. Make sure you take all your belongings with you. encourage landlords and tenants to make a clear agreement from the start of the tenancy agreement. There are two types of government approved schemes – insurance based and custodial based scheme. We joined the custodial scheme. Security deposits taken from the tenants will be deposited into a designated account provided and administered by the government-backed Deposit Protection Service (the DPS). This is a free service and no charges will be made either to the landlord or tenant. Interest earned on the deposit will be used to fund the cost of administering the service. Once a tenancy comes to an end, provided there are no disputes between the landlord and the tenant the DPS will hand over the security deposit to the tenant. However, if there are disputes then both parties must use the free dispute resolution service provided by scheme. For more information, visit the website www.depositprotection.com. At Denhan it is our job to professionally manage your property to eliminate or minimise any potential disputes. We found that a clear and comprehensive inventory and schedule of conditions of the property goes a long way to resolve any potential disputes. Every property managed by Denhan will be provided with free inventory service. Contact us for information. We understand the importance of health and safety at home. That is why we have developed Denhan Standard Homes. This means that properties rented through Denhan must comply with a stipulated set of criteria to ensure that your home is safe and well maintained. All our properties come with gas and electric certificates. The benefits from home ownership, such as a feature that enhances value. An estimate of the value of the property. One may have an appraisal to determine them offering price during sale/lettings. Requirements in a building codes that affect the size and appearance of the building. An improvement that will have a life of one year or more and will increase the value of the property. Payment to the agent for his or her efforts on marketing and letting the property. It is usually a percentage of the annual rent. Used in assessing or establishing the fair market value of a property. The word used to describe the collection of all assets of a deceased person. Also, the extent of interest a person has in real property. The exterior front wall of a building. Borrowing money to purchase a property. A loan where the interest rate remains constant over the entire term of the loan. A loan where the interest rate is not fixed over the term but is allowed to vary according to the change in a specified index. A scale diagram of the arrangement of rooms and their sizes. An enforcement process in which the lender under a defaulted mortgage takes title to the property for the purposes of selling it to recoup moneys owed under the mortgage. A written agreement to rent a property or part of a property from the owner. Monthly charges paid by the owner for that person’s share of costs of keeping the common-use area of the building in good condition. An independent company that is hired to manage a property. An estimation of the price for a property in relation to the current property market. An account reserved to provide funds for future expenses in order to maintain a building consisting of more than one unit. The amount of money paid by the purchaser to the seller. Also known as purchase price. A payment required by a landlord to guarantee that the tenant meets his or her obligations under the lease and to guard against any potential damages that may be incurred during the term of tenancy. The term used when a person holds a lease and lets the property to another person. The legal term for the evidence that the owner is in lawful possession of the property. Services such as water, gas, electricity, etc. To move out and leave a property.